Made from premium, genuine 7 ounce leather. 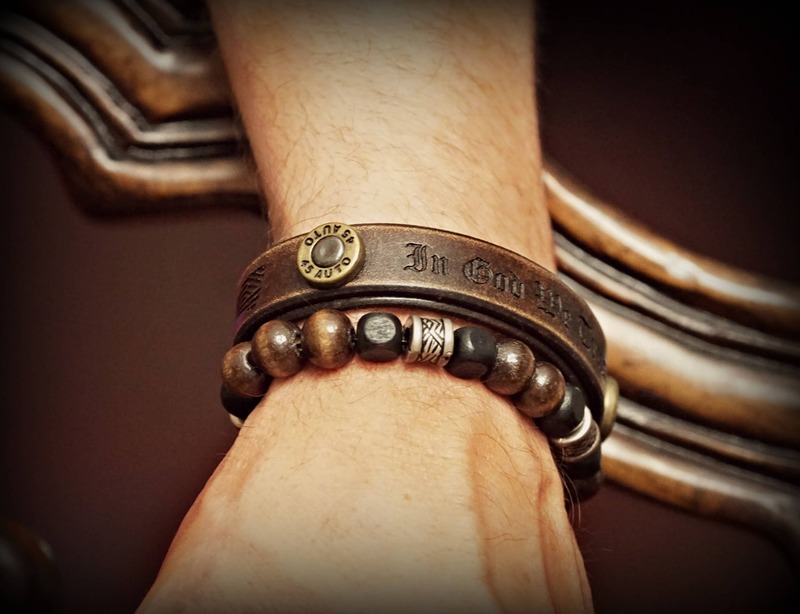 This wristband is double layered, and fitted with 2 of our .45 brass conchos. We also give this strap a slightly distressing to give it a vintage look. As with all of our leather products this wristband is hand dyed, oiled, and finished in house. 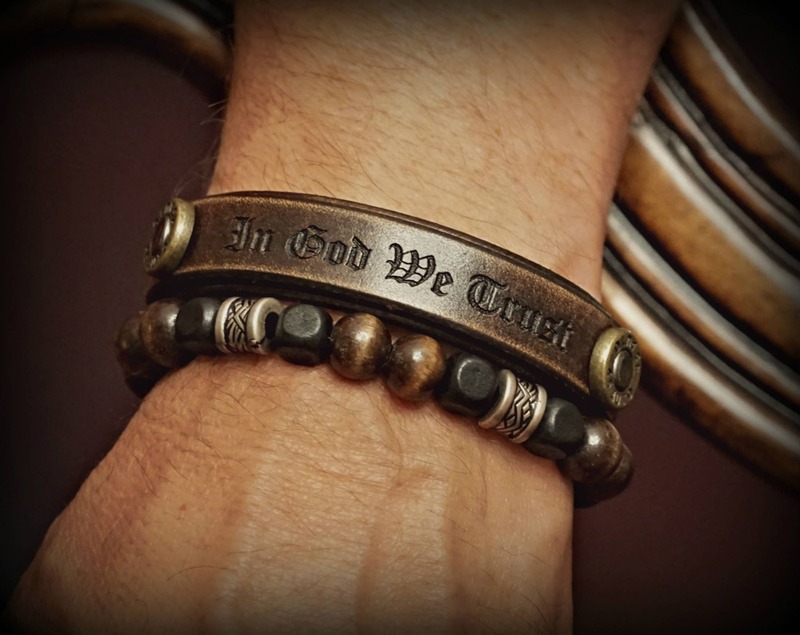 The band comes engraved with "In God We Trust", but can be custom engraved to suit your needs.